Appreciation for good food. It’s what started in the family business in 1915, and it continues to fuel our efforts today. Three generations ago, Grandpa DeFrancesca (“Grandpa Dee”) owned and operated a corner food store called “Dee’s Market” on Chicago’s North Side. An integral part of his community for decades, he was renowned for delighting neighborhood families with dependably fresh and great-tasting food. 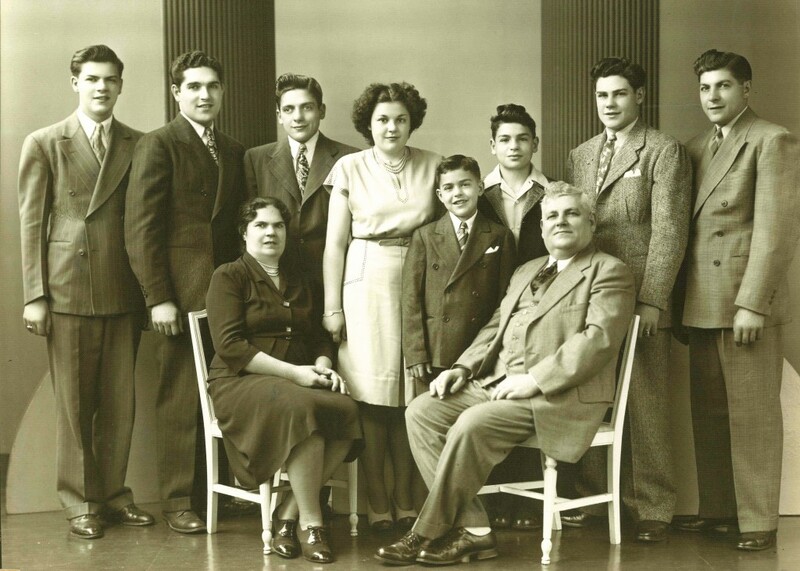 His reputation grew with his family, and all his children—Dave, Pat, Sal, Nick, Peter, Connie, Frank and Louis—were part of the store’s operations. In 1951, the family moved Dee’s Market to the North Shore. Grandpa Dee passed away two years later, but the family was determined to keep both his legacy and his store alive. For over 30 years until its doors closed in 1997, Dee’s Market flourished. Inspired by his entrepreneurial grandfather, Louis founded Mr. Dee’s in 1976 and soon launched its first product, Mr. Dee’s Hash Brown Patties (a top seller to this day). Over the next three decades, Mr. Dee’s’ reputation for quality grew with the product line, and families near and far began to depend on the flavor and quality of these classic potato side dishes. Changing times meant changing tastes. Patrick Conway, grandson of Grandpa Dee and central to Mr. Dee's operations from day one, assumed the role of CEO upon Louis' retirement. An industry expert and connoisseur of flavor, Patrick pioneered many product innovations that expanded the Mr. Dee’s line. He also launched the Dee Amoré brand in 2006, in response to market demand for gourmet side dishes and appetizers with simple ingredients. The Mr. Dee’s family of brands continues to grow strong. Between our own brands and new opportunities with licensing partners, we offer a wide variety of side dishes and appetizers to suit every meal—and we’re always looking ahead to what’s next. Just like the days back at Dee's Market, we remain sensitive to our consumers' needs in this ever-changing marketplace. We constantly strive for innovation, uniqueness and quality. And we still share an appreciation for good food. We know Grandpa Dee would be proud.